Stress-What is it really and how does it work? We have all heard about the negative effects of stress and how in today’s world we are under so much more of it but what is it really? Imagine it this way-we experience an event (real or imaginary) and then in an instant we perceive that event. The event itself is called a stressor. Our perception of that stressor sends an automatic message to our mind and our body. If we perceive the event as positive we experience what is called eustress or positive stress. We may feel energized or excited by it. It might give us energy to perform well in things like a competition, gig, speech, academic requirement or job interview. We might even enjoy how it feels. If we experience the event as negative we experience distress. This negative stressor might cause us to feel alarmed, anxious, panicked, tense, depressed or unhappy. We may feel butterflies in our stomach, or a tightening in our chest, tense muscles in our neck, back or shoulders. We might clench or grind our teeth, have a hard time concentrating or thinking or get a headache. 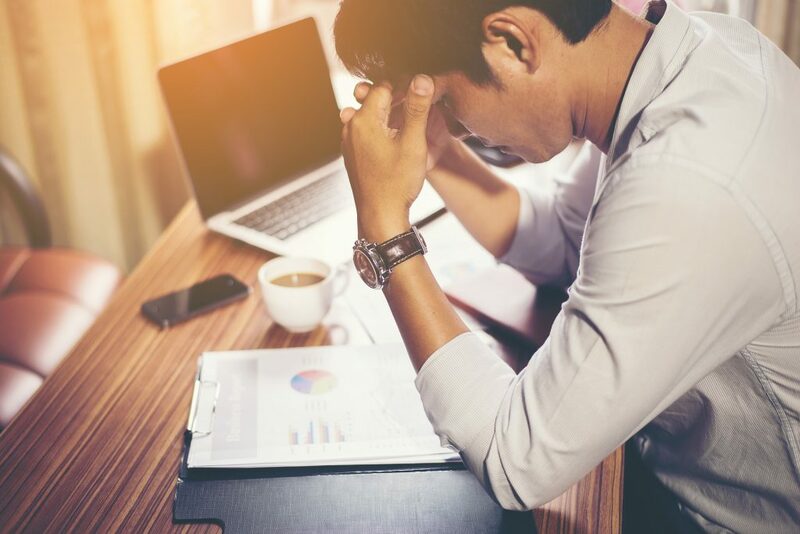 The moment we perceive a stressor as distress, our mind and body that are connected go through a series of chemical changes that are both short and long term acting. Over time and repetition this distress might impact our mind and body negatively. Diseases such as diabetes, digestive disorders, autoimmune diseases, a decreased immune system, migraine headaches, high blood pressure, cardiovascular diseases and high cholesterol are a few negative symptoms of chronic stress. A partial list of emotional symptoms can include; insomnia, emotional eating, anxiety (social anxiety, agoraphobia, generalized anxiety disorder, post traumatic stress disorder) depression, anger and resentment, a short attention span, difficulty maintaining relationships and difficulty coping with work. Understanding that these symptoms are treatable is the first step towards change. Counselling and Hypnotherapy in combination can release the built up negative emotional pressure that results from chronic stress and allow you to find a calm, safe place from which to re engineer the areas in your life creating the distress. Counselling and hypnotherapy can allow you to balance out your life so that it is enjoyable, positive and fulfilling. Choosing the right Counsellor is an essential element in your process of change. Your relationship with your counsellor provides you with the right energy, knowledge, support and encouragement to face issues or patterns in your life that are no longer working for you and to steer/guide you in a more useful positive direction. The Counsellor that you choose not only needs to have the education and knowledge base to understand the key ingredients you are experiencing and provide realistic solutions, they also need to connect with you in a way that feels safe and comfortable. Just as a hair stylist, dentist, hygienist, physiotherapist may or may not be the right fit, so is true with your Counsellor/Therapist. Speaking by email or on the phone is often the first connection, do you like the message you are receiving or the energy from that person. During the first session is the energy/environment comfortable for you. Does it seem that they not only understand where you are coming from but able to formulate a plan to move you forward. Is their personality pleasant or enjoyable to you? Do you feel confident that they know what they are talking about? Finding the right Counselling Practice/Counsellor may take time yet it will be time that will be well worth it. It is so important to me that the relationship feels right that I offer a free 20 minute consultation. Family Systems therapy helps individuals, families, communities, and organizations solve major life problems through understanding and improving human relationships. This theory is based on the knowledge that couples, families and their individual members function as an entwined emotional group that influence and are influenced by each another’s behaviours and choices. Counsellors/Therapists know that the relationship between the parts of a system – that is, the individuals within the family – can alter the whole system in sometimes predictable or patterned – and sometimes unknown – ways. Family Systems therapy/counselling can bring positive change in challenging relationship patterns causing martial conflict, loss of self, anxiety projected onto children, impaired work performance, poor health, and feelings of emotional isolation. Therapists/counsellors work to improve relationships in intact, single-parent, step-parent, and other nuclear family configurations. Looking at how the emotional system works in the family that shaped you helps me understand how you were conditioned to respond to stress or pressures within your Family system and extended social networks. During therapy/counselling, I will help you explore your emotional system, become aware of the automatic techniques you use to deal with stress, and recognize the resources and patterns adopted from your family system. By knowing yourself and recognizing the influence of the deep connections you have to family and society, you can predict patterns, become less judgmental, more sensitive, while still remaining connected. Eliminate Addiction, Irrational Fears, Improve Mood, Increase Motivation, Increase Athletic Performance, Reduce the Affects of Abuse and More. Rapidly Begin To Feel Better and Become More Successful in Life. Hypnosis used as a therapeutic modality often greatly increases the rate of healing through insight, by quickly removing psychological or emotional barriers to your success. Hypnosis allows access to your subconscious (where long term memory, habits and emotions exist) where the material that needs to be uncovered may lie. Using hypnosis, insight and healing may be accomplished often rapidly because in hypnosis your mind is much more calm creating a mental environment where the vital memories and insights become more available for therapeutic work. Hypnosis helps you to break through the barrier of conscious to the subconscious. Hypnotherapy is a form of brief therapy. Results are usually experienced from the first or second session. Therapy is usually completed after only three to four sessions, but may run as many as five or six for complex problems, though this is unusual. Pets are a huge part of many people’s lives. More than “an animal” a pet is your companion, confidant, friend and often protector. Your pet is there to cheer you up, listen to you, make you laugh and give you love. More than anything, your pet gives you this love unconditionally. No matter what kind of day you are having your pet is happy to see you, even if you have only been gone for a few moments. Many of us love our pet so much that we attribute human characteristics to them. Pets seem endlessly patient, eager to spend time with you creating a strong connection. For seniors and singles a pet (especially a dog) creates a connection to the outside world. Urging you out of your house for walks, where you often meet, connect and socialize with other dogs and dog owners. The healing aspects of pets have been well documented. Dogs and cats are used for therapeutic purposes in long-term care and hospital settings. Patients calm down and relax while stroking a pet. What they give you is immeasurable and when you lose them it is often an agonizing experience. The grief experience is often palpable and unavoidable. Your routine is now upset- no more feedings, walks or cuddling. Coming home to a house empty of pets can be a physically and emotionally painful experience. This process has no timeline and although it is experienced uniquely by everyone there are some commonalities. Initially you may feel overwhelmed by your pet’s death and have a hard time processing and accepting it. This is often followed by intense feelings of unfairness towards the situation. These feelings of unfairness can linger for a very long time and may come and go in waves. Eventually you may find yourself falling into a depression as you realize the gravity of the situation, you will never see your pet again. The emptiness of the house and the change of your routine highlight the pain. Although the length and intensity of this process is unique for everyone there are ways to help you work through it. First and foremost is to acknowledge the importance this special pet had in your life. Allow yourself to feel, experience and express whatever emotions come up. You are mourning a family member, allow that process to happen, accept and embrace it. Others around you may not understand your deep connection to your special friend and your consequent sadness. During this time take good care to spend time with those who understand and appreciate your loss. You may choose to honour your pet’s memory with a symbol. Veterinary clinics may offer your pet’s ashes, a ceramic foot print or another memento. Choose to hold onto whatever you feel is important. Pet memorial services are a nice way to allow others who loved your pet to say goodbye to him/her and comfort you. When, how and if you add another pet to your family is up to you. Adding another pet does not mean replacing the memory of the pet that you have lost, but it can help you to move along when you are ready. Do it when you believe that you are able to emotionally focus on the pet you are adding as a new and distinct member of your family. This new pet, especially if adopted from a shelter, will love and comfort you as you continue your journey of healing. If intense feelings of grief persist for an extended period of time seek out help from a therapist who can help you relieve this emotional pressure and get things back on track. Use hypnosis to stop smoking without gaining weight!You can stop smoking for good! Thousands and thousands of people across the country have quit smoking using hypnosis. I am experienced with this important and life-changing issue. I am successful if my clients become non-smokers. I know smoking cessation and the importance of physical, mental and emotional health. Here is how it works. You will come in and meet with me. I will learn about your smoking habit and discuss how you want to quit. You can stop all at once or taper off. I require that you make a minimum of two appointments, three to seven days apart. Most people will either stop smoking or cut back to only one or two cigarettes a day after the first session. The next session will usually be ten times more powerful and effective than the first session. There are small percentage, about 10-20 percent, that will require more sessions to quit smoking. For that small percentage that need more help, I am there for them, too. You don’t have to gain weight because you quit smoking! Follow my plan and you may even lose weight. My educative component helps you to replace the smoking habit with good positive behaviours. These good behaviours help you to take advantage of the time you used to spend smoking. If you now smoke 30 cigarettes a day and spend about 5 minutes on each cigarette that equals about 150 minutes, or 2 1/2 hours a day smoking. You need to plan for that time. If you don’t, you will tend to gain weight. I can tell you much more about my program. Call me for more details. I am happy to answer your questions by phone or email.